IKOHI: Victim's Place for Solidarity Building in Fighting for Justice: Justice for Munir is Justice for All! September 7, 2009 – Today marks the 5th anniversary of the murder of the former AFAD Chairperson, Munir. It has been five years ago since our Federation received a text message about the sudden death of Munir. Incredible was the message we received about the death of a man who, at the prime of his life, was contributing to a large measure, to the cause of human rights and democratization process of Indonesia and in the rest of the world. More revolting was it to know, two months later, that the most courageous human rights defender of Indonesia was poisoned by a lethal dose of arsenic allegedly by elements of the military intelligence in Indonesia, the BIN. Five years have passed. While Pollycarpus, the Garuda pilot implicated for the murder, and former Garuda president Indra Setiawan were found guilty and sentenced for twenty years and 12 months imprisonment, the news about the acquittal of Major General (ret.) Muchi Purwopranjo is a manifestation of continuing impunity in Indonesia. For this, the Asian Federation Against Involuntary Disappearances and the rest of the international movement against enforced disappearances continue to cry for truth and justice for Munir. A week prior to the anniversary of Munir, the Asian Federation Against Involuntary Disappearances visited Indonesia to conduct series of activities related to the entry into force of the UN Convention for the Protection of All Persons from Enforced Disappearance. The series of activities from September 1-6 were culminated with our participation in the every Thursday rally in front of the Presidential Palace. It was the 125th day since the families of the disappeared and other victims of human rights violations in Indonesia, inspired by Argentina’s Madres de Plaza de Mayo, have been weekly conducting their protest demonstration. On that occasion, representatives of AFAD from the Philippines and Nepal and of its Latin American counterpart, the Latin American Federation of Associations of Relatives of Disappeared-Detainees were physically present. Their presence was a concrete manifestation of solidarity with Suciwati and her family and with Munir’s larger family of victims of the 1965 massacre; the 1998 riot resulting in killings, imprisonment and disappearances of persons, the Tanjung Priok victims and many other victims and defenders of human rights in a country devastated by 32 years of dictatorship. As the present administration of President Sucilo Bambang Yudhoyono has received a landslide victory and will soon officially receive a new mandate in October 2009, AFAD once again calls on the Indonesian government to leave no stone unturned to facilitate that truth be ferreted out, justice be served and that the mastermind of Munir’s treacherous murder be punished to the full extent of the law. Munir spent several years of his life as a human rights defender to the cause of the disappeared. He actively participated in the drafting and negotiation process of the UN Convention for the Protection of All Persons from Enforced Disappearance. 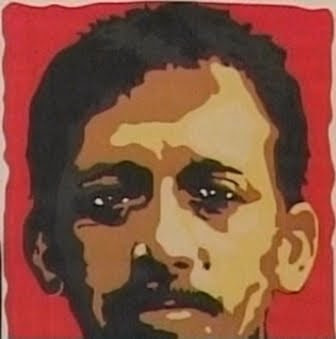 An apt tribute for Munir during his 5th death anniversary is the Indonesian government’s ratification of the UN Convention for the Protection of All Persons from Enforced Disappearance. Thus, on this occasion, as we seek for justice for Munir and for all victims of human rights violations, we reiterate our call to the Indonesian government for the immediate ratification of the UN Convention for the Protection of All Persons from Enforced Disappearance. It will be an apt tribute to Munir and the most precious gift which the Indonesian government can give to the families of the disappeared whom Munir lived and died for. Justice for Munir, Justice for All!